In manufacturing, you are only as good as the data you collect. Without knowing how well you are performing you cannot measure improvement or properly drive priorities. To accomplish this critical step in manufacturing, Ameriqual utilizes RedZone - a program that links sensors to assets to deliver real-time tracking of performance, availability and quality. 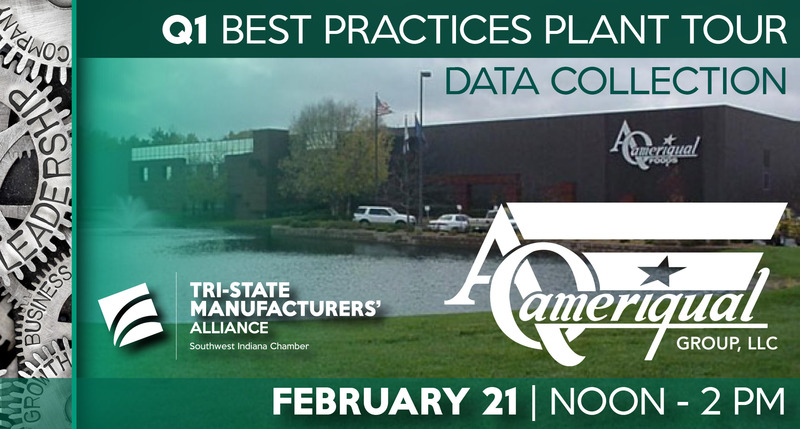 Ameriqual invites you to learn first-hand about this data collection system. AmeriQual provides solutions to their customers by producing, packaging, assembling and distributing high quality, shelf-stable food products to major branded food companies and the United States Department of Defense. Packaging formats include pouches – spouted, pillow, and gusseted stand-up; heat-sealed microwavable bowls and trays. Host requests that only 2 people per company attend with first priority to those in the manufacturing sector. Registrations will be accepted until Feb 18th. You will be contacted to confirm that you are on the list to participate. Confirmation of participants will be sent. We appreciate your understanding.